The Unimog name is synonymous with durability, serviceability, and most of all, capability. 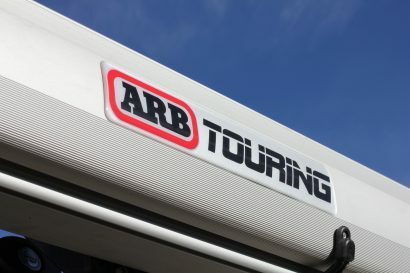 From carrying military personnel, to transporting spare parts in the Dakar rally, they are the platform of choice for anyone needing reliable transportation over the harshest of terrains. Originally developed as a tractor in post-war Germany, the Unimog can seem a little basic, if not stark when it comes to amenities. Don’t let their rugged design and utilitarian looks fool you, though. 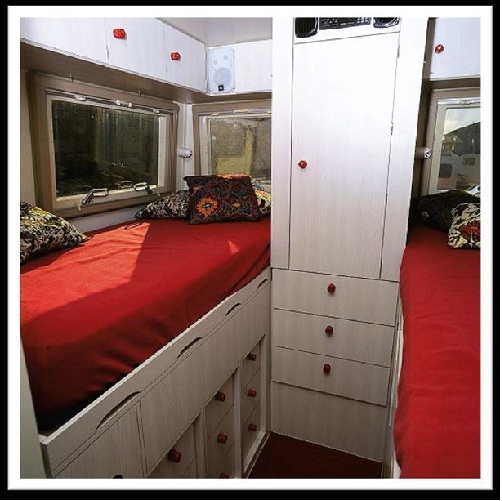 These highly customizable vehicles can be the ultimate solution for luxurious adventure travel, especially when equipped like this beautiful one of a kind UNICAT. Based on the Mercedes-Benz U-2450 chassis, this truck, affectionately named “Poco Loco” stretches a full 7 meters in length and stands 3.5 meters tall. 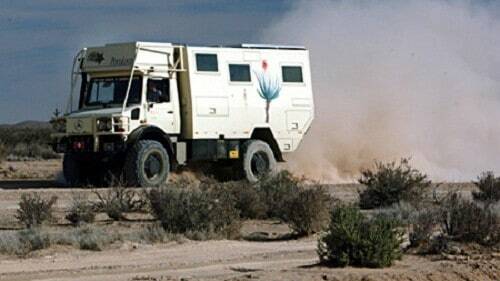 At the core of this Unimog lies a 6 cylinder Mercedes-Benz turbo diesel engine, capable of producing 240 horsepower. Although this proves sufficient for most situations, the owner decided to add an extra turbo charger boosting the horsepower up to 330 for aid in navigating difficult terrain. To further aid the driver, this vehicle features front and rear differential locks and a built-in central tire inflation system for on the fly air pressure adjustments. 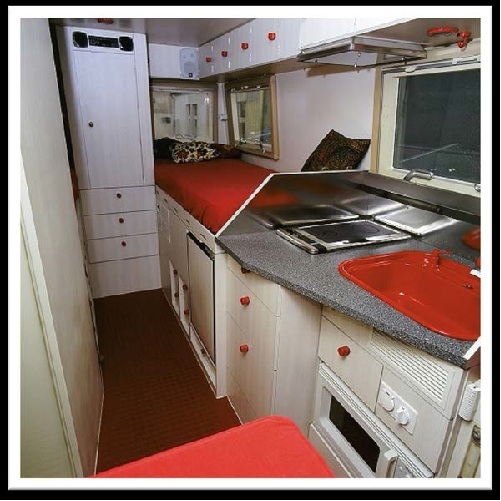 Incredibly, UNICAT has designed the living space of this vehicle to be just as impressive and well engineered as the rest of the truck. Externally, the shell has been slanted in the rear to allow for steep departure angles making the truck is capable of ascending a 45 degree incline. The shell also slants inward closer to the top of the vehicle in order to keep the center of gravity as low as possible, helping the driver to achieve the maximum 32 degrees of lateral tilt. On the interior of this luxurious space you will find everything you could need and more while traveling. A large swing out dining table, fully equipped kitchen, washroom, shower and two beds are just a few of the many amenities that will help you feel right at home. 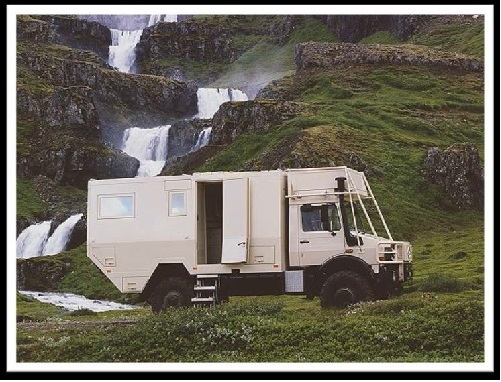 If you are an overland enthusiast searching for your next international adventure vehicle then this Unimog could be the truck for you. 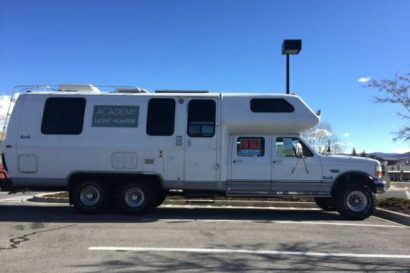 We decided to sell our vehicle, which we called affecionately ‘PocoLoco’ (“a little bit crazy” in spanish). 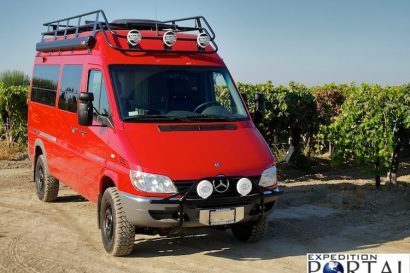 It is a nice house on wheels, an expedition truck on the base of an extremely off-road capable 4×4 Mercedes-Benz UNIMOG U-2450 chassis, which was of great use for us in the last few years. This vehicle is one-of-a-kind and even has been produced as a 1:87 model ! The initial costs for this custom-built expedition truck was well over 1 million US$. Serious interests download our portfolio and get in touch with us. See also our private website about our expedition travels.